Hello to all our readers, DC Fans and Superman supporters. For your perusal this month I, once again, delve in to the history of Superman; after all, 2018 celebrates 80 years since Action Comics #1 and 40 years since Superman: The Movie. 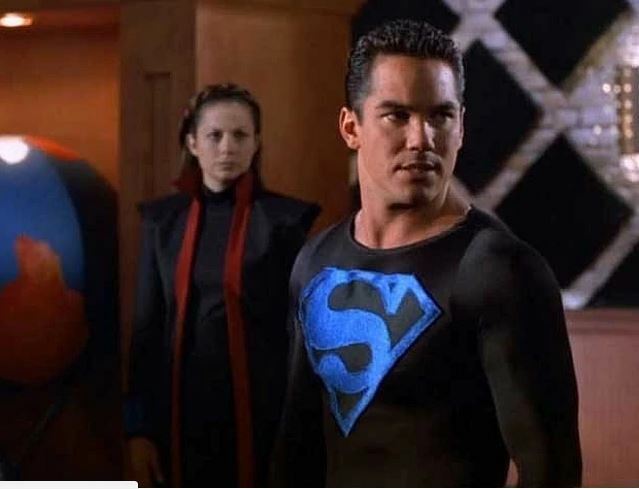 This month, therefore, I offer up Dean Cain as my choice, the man who played Superman in the 1990’s TV Series, Lois & Clark: The New Adventures Of Superman. Dean was born in July of 1966 to Roger Tanaka and Sharon Thomas, an actress. Three years later and Sharon married a film director called Christopher Cain, who adopted Dean and, therefore, the reason that Dean has the Cain surname. What’s interesting to me is that Dean is of French Canadian, Irish, Welsh and Japanese descent. 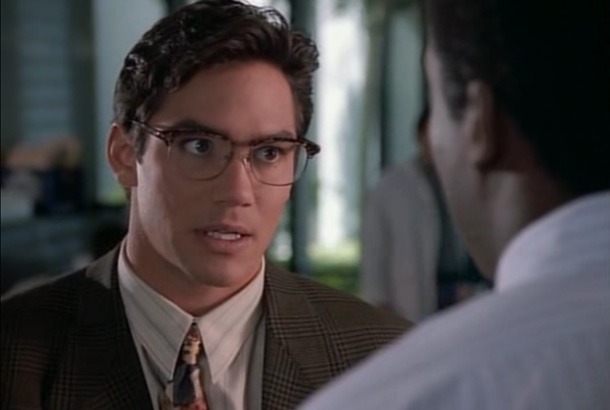 This is new to me and confirms something I thought when I first saw Dean play Clark Kent/Superman in Lois & Clark, that he is of part Japanese descent. 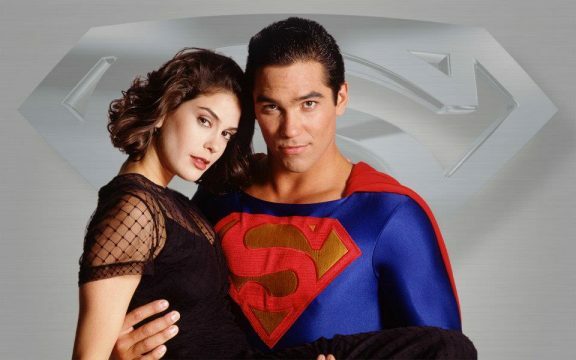 Anyway, a nice way to then talk about Dean starring as The Man Of Steel in Lois & Clark: The New Adventures of Superman. I was a couple of years late in watching, but I was well aware of it and, for reasons I can’t remember, was late in getting to watch. However, i soon managed to catch up and found myself engrossed in this series. Yes, it was light and yes, 1990’s effects were not the best. However, Dean brought so much passion to the part you couldn’t help but watch. He gave a great human touch to Superman and ensured the character felt that we never thought he was above anyone else (ok, so maybe apart from the line to Lex Luthor – “all you have to do is look up” haha). Dean’s performances really made us care about the character. As Clark he was always slightly clumsy, restrained and certainly the mild-mannered reporter we all know and love. He portrayed the loyalty, strength and he showed us the uncertainties of his future path as Superman. 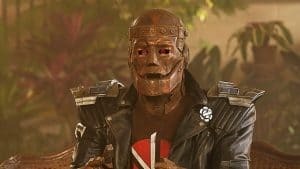 As Superman, Dean really did look the part. I’ll be honest and say, in the pilot episode, I thought his hair was too long but, then, that’s a minor gripe. Dean, being a former sportsman, had the physique to be able to carry off playing the Last Son of Krypton. As Superman, he was influenced by his earth upbringing which, in turn, makes him very human, something that really worked for the show. For that, Dean deserves so much credit. Then there’s his chemistry with the (and I swoon when I say this) beautiful/stunning, Teri Hatcher who played Lois Lane. Thanks to both of their performances and the obvious chemistry that they have, this elevates the show even higher. Dean and Teri were the perfect pairing for these characters. Away from the show, Dean has always been so supportive of the series that he starred in for four seasons and, while I have never been lucky enough to meet him myself, seems to enjoy the convention scene and speaks very highly of, not just the show, but Superman as a whole. I also remember watching an episode of Comic Book Men and they were celebrating the 75th Anniversary of Superman. 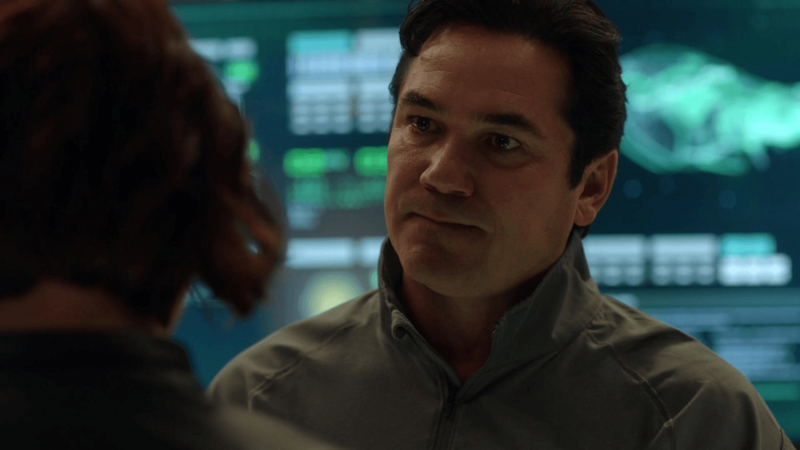 Therefore, they drafted in Dean Cain to appear at the comic book shop where he talked so lovingly about Superman. I remember the guys from the store saying that Dean Cain (and the show) had made people care about Superman again. I could not agree more with that statement and for that I thank him for his part in bringing the Big Blue to life on the small screen. 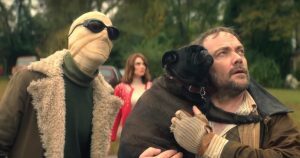 Years later and Dean can not stay away from the franchise that made him a big star, with guest appearances first as Dr Curtis Knox in the Smallville tv before returning again in a recurring role as Jeremiah Danvers in the Supergirl show (a show where we have seen more than one appearance from Super-Alumni). Dean has been part of the Super-Universe now for over 20 years and has given fans of Superman much joy over this time. Lois & Clark is a show that I can just thrown on at any time and enjoy watching. 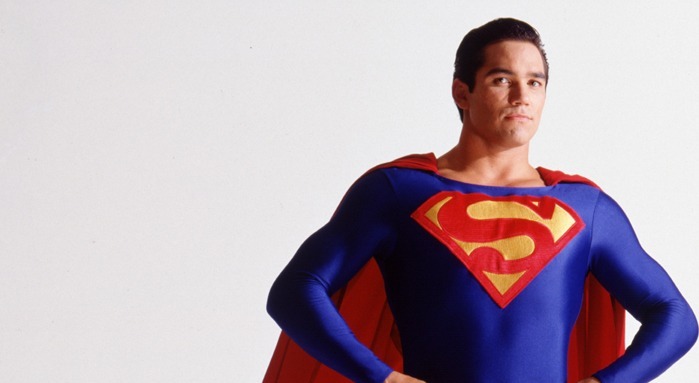 Dean Cain made Superman, on-screen, relevant in the 90’s and, therefore, i thank him for that. 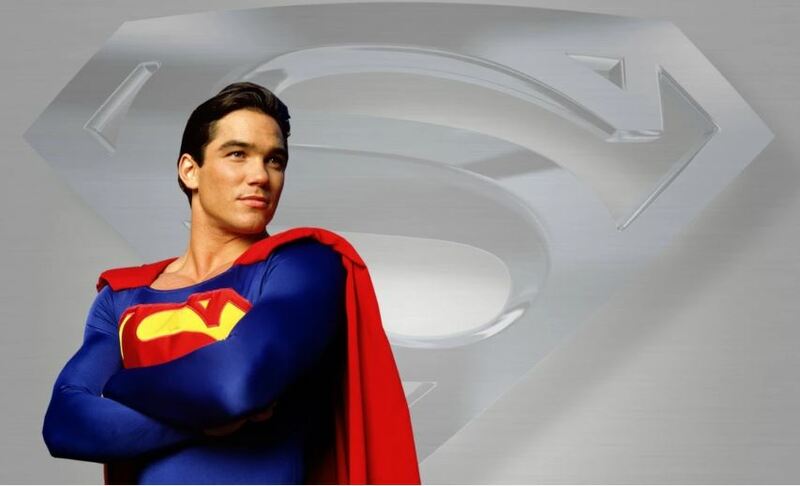 If you too are a fan of Dean Cain as Superman and would like to see him in our Hall of Fame then please do vote HERE. Many thanks! Oh, one more thing before I go, maybe something to swing your vote towards Dean – wasn’t he the first actor to wear a black suit as Superman? Seems to be!! Many thanks for reading, I hope you enjoyed it. As always, please comment below if you wish or do so on the team’s or my own social media account.